Clear Channel Communications, Inc. was founded in 1972 with the purchase of its first FM radio station in San Antonio, Texas. After expanding throughout Texas, and then globally, Clear Channel has become one of the world’s largest media and entertainment companies. Besides Clear Channel’s Media & Entertainment sector, it also has an outdoor advertising division called Clear Channel Outdoor. 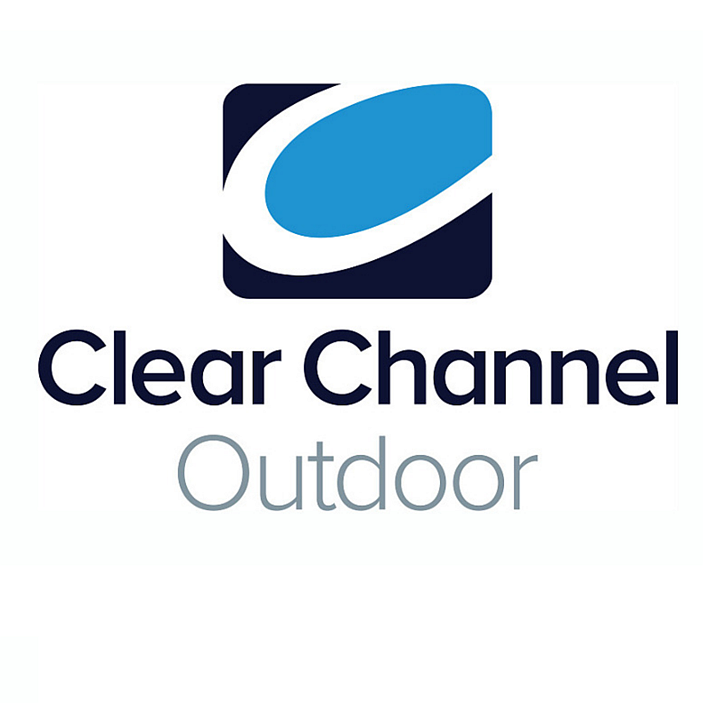 Clear Channel Outdoor has over one million displays in over 30 countries. Clear Channel aims to be America’s only radio company that offers local presence with national reach and to develop innovative and dynamic campaigns for advertisers. With 850 radio stations broadcast to over 150 markets, Clear Channel reaches over 243 million listeners every month and has a greater reach than any other radio or television outlet in the United States. They deliver a variety of content including music, news, talk, sports, and comedy, on a number of platforms such as AM/FM stations, in-vehicle satellite radio, HD radio, and online radio. Clear Channel also offers a digital music service called iHeartRadio. It is free and can be accessed through online internet streaming and through a mobile app. iHeartRadio gives listeners access to over 1,500 live radio stations and the opportunity to create customized stations based on their artist and song and genre preferences. Clear Channel also offers live music events such as their annual iHeartRadio Music Festival. 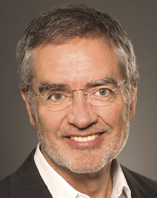 Bob Pittman is Clear Channel Communications’ Chief Executive Officer. Tom Casey is Chief Financial Officer and Executive Vice President of Clear Channel Communications. Wendy Goldberg serves as Chief Communications Officer and Senior Vice President for Clear Channel Communications. She oversees and executes strategic communications for all of the Clear Channel Brands. Robert H. Walls, Jr. is General Counsel and Executive Vice President of Clear Channel Communications. He oversees the legal and government affairs departments within the company. John Hogan is the Chairman and Chief Executive Officer of Clear Channel’s Media and Entertainment Division. He oversees the development and organization of Clear Channel’s radio stations. John Skyes is the President of Entertainment Enterprises for Clear Channel. He helps to develop new business for Clear Channel Communications. He is also on the board of many organizations including Syracuse University’s Newhouse School of Public Communications. Clear Channel Communications is a privately traded company. Shares of their parent company, CC Media Holdings, Inc. are traded under the ticker symbol CCMO. Clear Channel Outdoor Holdings, Inc. is traded separately under the ticket symbol CCO. CCMO’s revenues have been increasing slowly since December 31, 2009. The recorded revenues for December 31, 2012 were $6,246.9 million. Operating expenses have also been on a steady increase. Since December 31, 2009 CCMO has also been experiencing a net loss of income every year. The net income recorded for December 31, 2012 was $424.5 million. This loss of income can be explained by rising operating expenses and only a very small increase in revenues. January: On January 7th Clear Channel Media and Entertainment updated their iHeartRadio app. They added a “Perfect For” feature that will allow users to choose a playlist based on their current mood or activity. They have also added an alarm clock and a sleep timer feature to the application, making it so iHeartRadio can be the first thing that listeners hear when they wake up in the morning and the last thing they hear before they fall asleep at night. Clear Channel also announced that iHeartRadio will be made compatible in Chrysler Group and General Motors Company vehicles. The new made-for-driving application will be called “iHeartAuto” and will make it easier and safer for users to listen to their favorite radio stations and artists straight from their car. February: On February 11th Clear Channel Media and Entertainment released their findings from recent research study that concluded that by reallocating a small amount of money to radio advertising can help companies increase their brand’s reach. These findings are explained by the notion that radio reaches an audience that is more receptive and open to marketing ideas and suggestions. On February 13th Clear Channel announced that they have a new partnership with Robbins Entertainment, a music label. As part of the deal, Clear Channel will be sharing all of its radio revenues as well as its digital broadcast revenues with the artists under the Robbins Entertainment label. Clear Channel has closed similar deals over the past few months with other record labels. March: On March 11th Clear Channel unveiled an “Add-Ins” feature to their iHeartRadio app. This feature will allow listeners to insert local news, weather, and traffic to their custom stations. This innovation will allow Clear Channel to grow as a national radio provider while still localizing and personalizing their services. On March 15th Clear Channel announced their partnership with Target to promote Justin Timberlake’s new album: “The 20/20 Experience.” Together, Target and Clear Channel will host an iHeartRadio album release party on March 18th. 120 lucky winners will be flown to Los Angeles for the event. On March 28th Clear Channel announced that their annual iHeartRadio Music Festival will be held at the MGM Grand in Vegas for its third year. Part of the festival includes the Macy’s iHeartRadio “Rising Star Campaign” where 25 new artists compete for a spot in the festival alongside big names in the industry. Clear Channel also puts on a “Road to Vegas” campaign to promote the event, where hundreds of listeners will be awards trips to the concert. The event will take place September 21 and 22, 2013. April: On April 1st Clear Channel Media and Entertainment announced a partnership with Big Machine Label Group. Together the two companies will release The Band Perry’s second album, called PIONEER. The idea of the campaign is to increase audience awareness through an on-air Artist Integration Program to introduce the new album to listeners. The campaign will also include on-air interviews with the artists and a live performance.